​Our associates come from a variety of backgrounds and cultures. They are skilled at communication, creative problem solving, decision-making, planning, organization and technical expertise. Each associate is a valued member of the team, and remains flexible in assuming a variety of work assignments. As founder of Honda Motor Co., Soichiro Honda understood the importance of people working as a team. At the center of that philosophy is Respect for the Individual—a fundamental belief that each associate can explore and create his or her own dreams. The atmosphere that encourages associate involvement underlies Honda’s commitment to build the highest quality and most popular motorcycles, automobiles, engines and power products. Honda is an equal employment opportunity employer and does not tolerate any form of unlawful discrimination. 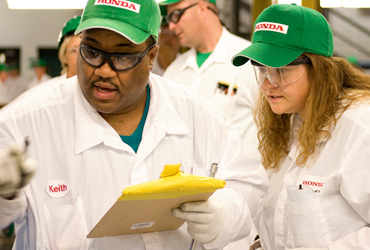 All employment decisions at Honda are based on merit and pursuant to the principle of equal employment opportunity. Honda ensures that hiring and promotion decisions are made in a non-discriminatory manner by imposing only job-related requirements for hiring and promotion opportunities. In keeping with both the letter and spirit of this policy, Honda will continue to recruit, hire, train and promote into all job levels the most qualified persons without regard to race, color, religion, gender, sexual orientation, national origin, age, disability, veteran’s status or any other protected characteristic in accordance with appropriate law. Honda Manufacturing of Indiana is a manufacturer of the Civic Sedan, CR-V and Insight Hybrid. We’re known for bringing together diverse individuals with one shared goal. 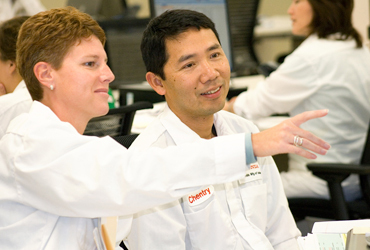 Our production associates have varied backgrounds utilizing unique talent to create quality products. Honda Manufacturing of Indiana's reputation for quality attracts the most talented professionals from across the country. While working as a team, each individual’s skills and experiences are drawn upon to create a dynamic environment that inspires us to build world-class vehicles. For current HMIN associates only. Honda Manufacturing of Indiana has developed a variety of temporary programs that offer opportunities to a range of candidates. We have partnered with the following staffing agencies to help us with our temporary staffing needs. 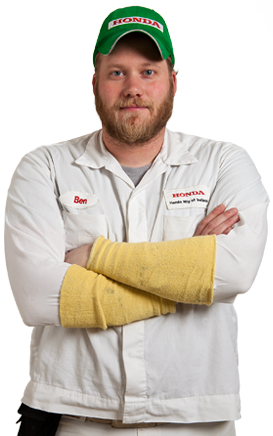 Honda Manufacturing of Indiana, LLC offers a competitive compensation and benefits package for full-time associates and their dependents. Honda has the sole right to terminate, suspend, withdraw, amend, or modify the benefit and compensation plans in whole or in part at any time.